Death is the dark enigma at the center of life, and sometimes, it comes in strange ways … or on strange days. For instance, it's surprisingly common for people to die on their birthdays. There's also the weirdness that occurs when two famous people depart from the Earthly plane on the exact same day, within hours of each other, sometimes in really similar ways. These situations are probably just coincidences, but when they happen, they certainly feel weird. The absolute strangest glitches in the Matrix, though, might be when celebrities tied together by interest, profession, or fate die on the exact same calendar date, but in different years. It almost feels as if these dates, and these people, are linked together by an invisible thread from the Grim Reaper. While the causes vary, as do the connections, here are some of the most notable cases of celebrities dying on the same date. 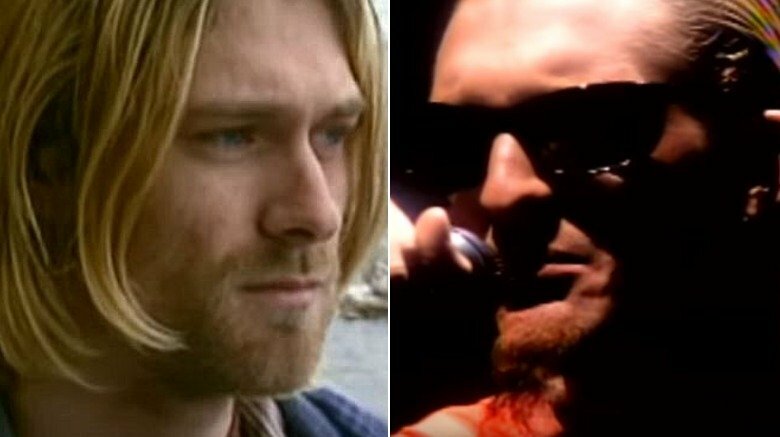 For the generation who grew up listening to grunge, April 5 will forever go down in infamy. According to the Pittsburgh Tribune-Review, it was on that day in 1994 that 27-year-old Nirvana front man Kurt Cobain shot himself. Eight years later, on that same date, Alice in Chains singer Layne Staley also died in his home. Substance abuse played a big role in both of these untimely departures. While Cobain's death was intentional, the autopsy revealed that he'd been using heroin before his death. Additionally, although Staley's demise is believed to have been accidental, it was found to have been caused by an overdose of both cocaine and heroin, sometimes called a "speedball." Both men were considered pioneers in the Seattle music scene that exploded in the 1990s. These days, the notion of bipartisanship — let alone legitimate friendships between Democrats and Republicans — often seems as magically fantastical as anything in Lord of the Rings. However, this hasn't always been the case. 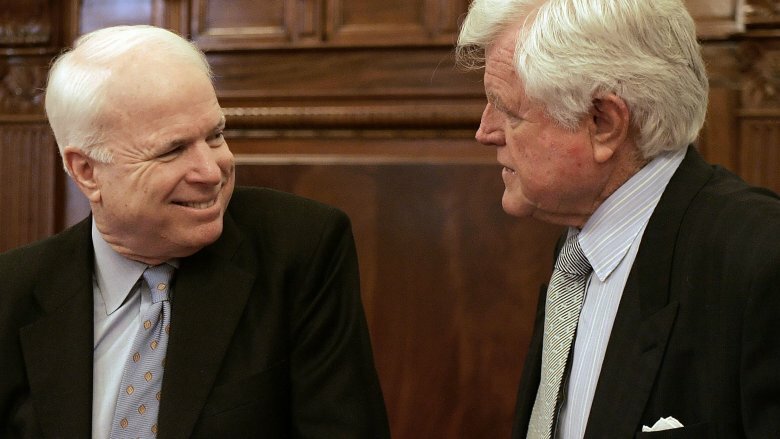 According to AZ Central, esteemed Arizona Senator and former U.S. presidential candidate John McCain, a Republican, enjoyed a good friendship with Democratic Senator Edward "Ted" Kennedy, for many years. ABC News says the two politicians were often dubbed the "maverick" and the "lion," respectively, and they worked together to form bipartisan legislation. What's even stranger than their friendship, though, is the fact that both men died on the same date, August 25, and from the same tragic cause: a rare and aggressive form of brain cancer called glioblastoma. When Kennedy passed away in 2009, McCain gave a touching eulogy for his longtime friend and coworker, according to Town & Country Magazine. McCain died in 2018, and while Kennedy wasn't around to give the same honors, similar tributes were offered by his remaining family members, including Joe Kennedy III and Patrick J. Kennedy. Nina Simone was one of the most powerful singers of the 20th century, as well as a classically trained pianist, and a prominent civil rights activist. Simone was an icon, and a force of nature throughout her life. CBS News states that her health started to decline in the 2000s, and on April 21, 2003, she died in her home in France. According to Biography, she was 70 years old and had been battling breast cancer. Thirteen years later, April 21 stole yet another musical powerhouse from the world: Prince. According to USA Today, the world-famous musician was found alone and unresponsive in an elevator, evidently due to an accidental overdose of fentanyl. Tragically, Prince was only 57 years old at the time of his death. Though fans across the world reeled in shock when Prince was pronounced dead, some of his closest connections reported seeing signs that something was wrong in the days beforehand, such as when the artist passed out on a plane just a week earlier. Everyone will always remember November 22, 1963, as the day President John F. Kennedy was assassinated, and that date only got more implanted in the world's collective memory when Stephen King wrote a time travel novel about it. However, the fury and panic that followed JFK's death led to the demise of another cultural icon being swept aside: science fiction novelist Aldous Huxley. According to the Independent, the Brave New World author passed away less than an hour before the infamous scene in Dallas rocked the globe. He had been suffering from oral cancer, and on his deathbed, he asked his wife to inject him with 100 milligrams of LSD. 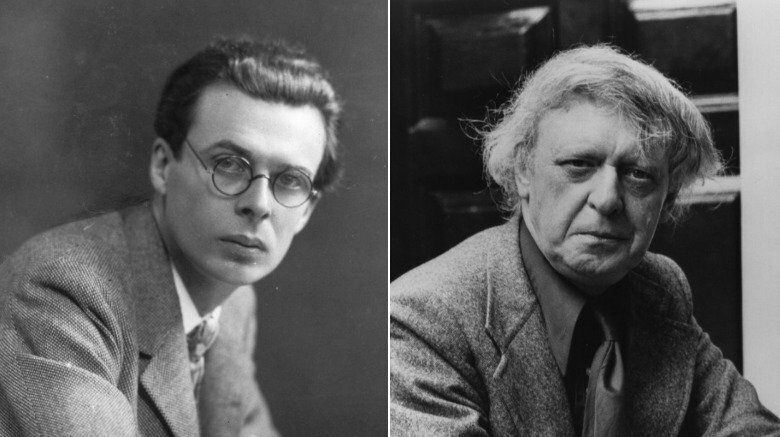 Now, when literary experts list the great science fiction dystopia novels, Brave New World is often joined by Anthony Burgess' bleak and violent A Clockwork Orange, and the similar nature of these two works makes it quite odd that Burgess also died on November 22, albeit 30 years later, in 1993. Burgess was living in Switzerland at this time, according to the New York Times, and had dealt with health crises throughout his life before finally succumbing to, like Huxley, cancer. Everybody in the United States knows July 4 is Independence Day, that country-wide block party where Americans celebrate the Declaration of Independence with hot dogs, beer, and fireworks. It might be the most celebrated date in U.S. history. So, it's kind of weird to think that, on the Declaration's 50th anniversary in 1826, both John Adams and Thomas Jefferson died in separate locations, from separate causes, according to the Los Angeles Times. Yes, on the exact same day. Yes, the day was July 4. 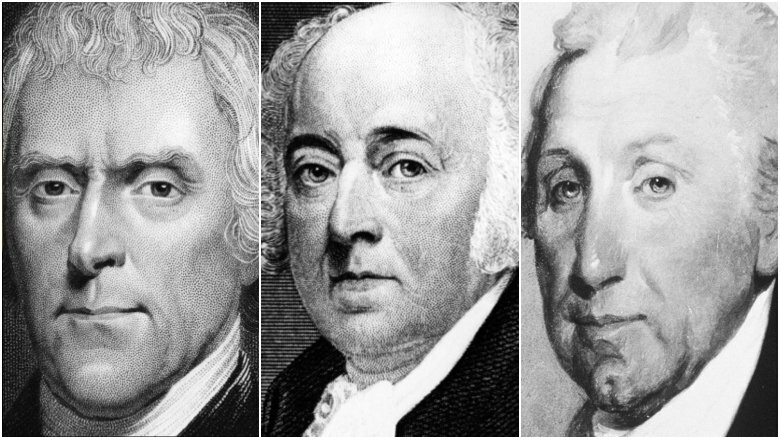 As if that wasn't spooky enough, their deaths were followed five years later — once again, on July 4 — by the loss of fifth U.S. President James Madison. Weird, right? Since this was the 1800s, the U.S. population didn't believe for one second that three presidents dying on their beloved Independence Day could be anything so petty as a "coincidence." So instead, they chalked it up to divine intervention. Nice theory, but no other presidents have died on July 4 in the decades since. In 2016, it came as a huge, tragic surprise for wrestling fans across the nation when Joan Laurer was found dead of an unintended drug overdose in her Redondo Beach home, according to the Los Angeles Times. Though Laurer became an actress and reality TV star in her later years, her most prominent legacy will always be her role as the WWE wrestler Chyna, one of the program's most prominent female wrestlers. 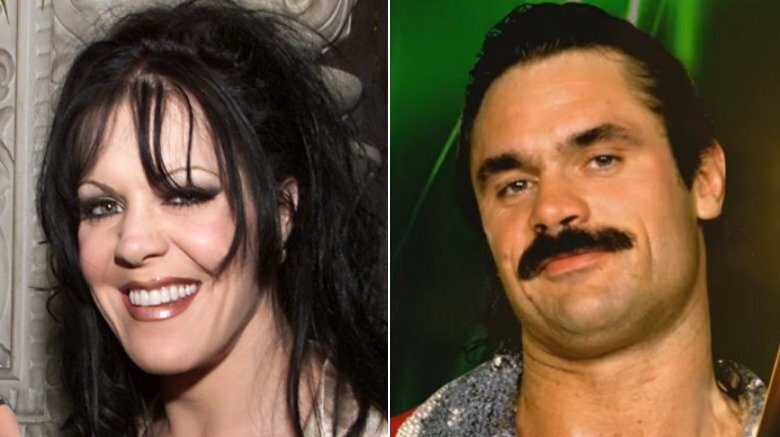 Oddly enough, Laurer passed away on April 20, which Wrestling Inc notes as the exact same date that fellow wrestling superstar Rick Rude also died before his time in 1999. Heavy reports that Rude, who had been only 40 years old, died of heart failure believed to have been caused by a drug overdose. Both Laurer and Rude's deaths were proclaimed accidental, particularly Rude, who at the time had been busy training for a big return to the ring. On August 16, 1977, the nation of rock lost one of its greatest monarchs. Elvis Presley, commonly hailed as the King of Rock and Roll, left the world at age 43. He was found dead in his Graceland bathroom, and Biography notes that while the cause of Presley's death was publicly announced as a heart attack, later toxicology reports showed high levels of painkillers like Quaalude, Dilaudid, and codeine had been coursing through his system. 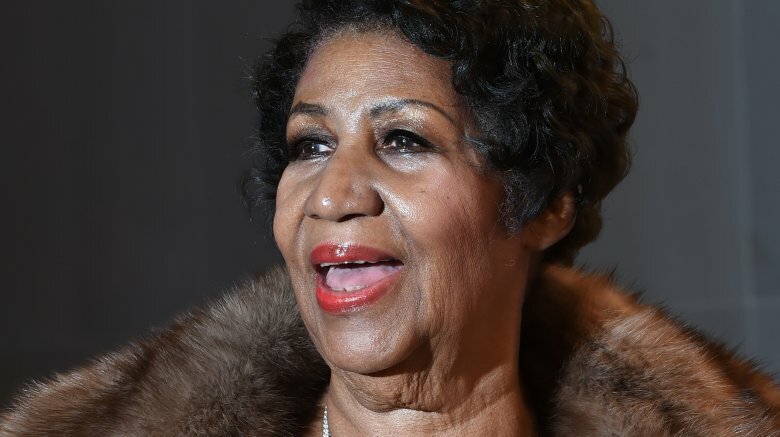 Decades later, this same date proved equally fatal for the Queen of Soul, Aretha Franklin. 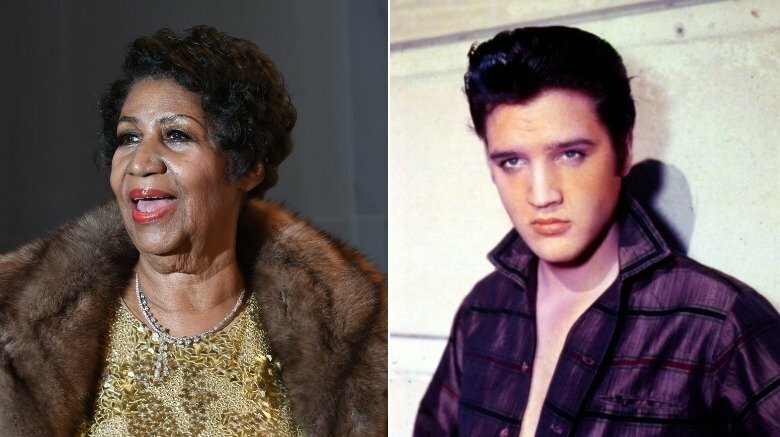 Exactly 41 years after Presley's death, on August 16, 2018, Franklin finished her days on Earth. Franklin, the first woman to be inducted into the Rock and Roll Hall of Fame, was 76 years old at the time of her death. People Magazine says the cause was pancreatic cancer, which she had been fighting for the last decade. August 16, as it happens, also marks the birthday of another musical legend, Madonna. It's a horrible tragedy when young celebs are taken right as their careers are just beginning to take off, and the date of March 31 has claimed two such victims. The first was Brandon Lee, son of legendary martial artist Bruce Lee. 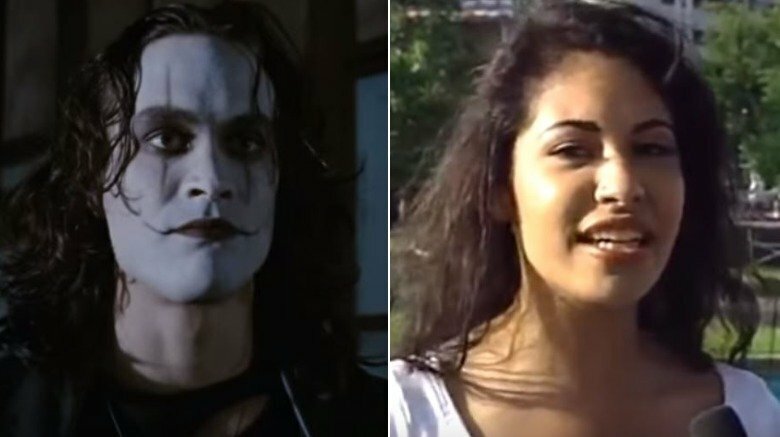 As written by Entertainment Weekly, Lee was 28 years old when he starred in the dark comic book film The Crow, and by March 31, filming was almost complete. The heavy work was over, and to finish up, Lee just had to do a take where his character, Eric Draven, was murdered by a gunshot. But when the prop gun went off, a real bullet fired, lodging itself in Lee's spine. Despite five hours of surgery, and 60 pints of transfused blood, he died from internal hemorrhaging. Though numerous conspiracy theories abound, the truth is that Lee's death was simply a terrible mistake. On the other hand, the murder of singer Selena Quintanilla — exactly two years later — was no accident. According to Pop Sugar, the bullet that took Selena's life was fired by Yolanda Saldívar, the president of the young artist's fan club, who had been caught embezzling $60,000. After a tense standoff with the authorities, Saldívar was arrested, found guilty, and has been in prison ever since. Few activists in history have earned the acclaim and reverence of Mahatma Gandhi, the iconic advocate for peaceful resistance, who was a key figure in overthrowing the British rule of India. Sadly, Gandhi's life ended in violence. On January 30, 1948, Gandhi was on his way to a prayer meeting when an assassin named Nathuram Godse shot him, according to History. Godse was later revealed to have been following the orders of a right-wing Hindu militia group, and he was executed the next year, against the wishes of Gandhi's sons. 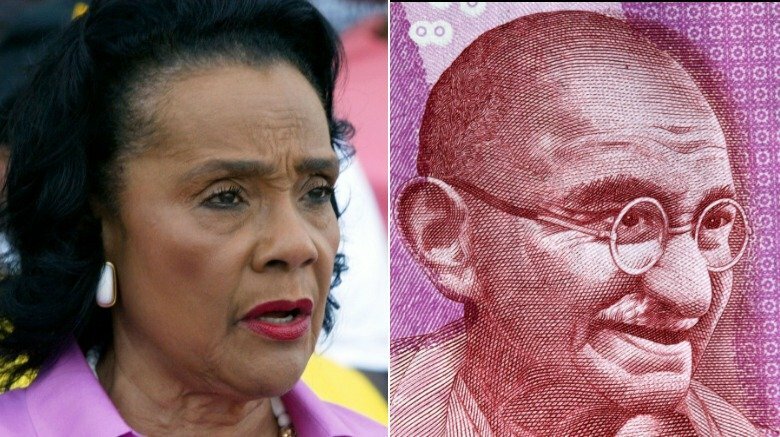 Almost 60 years later, CNN reported that another famous activist had passed away: It was on January 30, 2006, that Coretta Scott King took her final breaths after being hit by both a stroke and a heart attack. Though popular culture often refers to her as the wife of Martin Luther King Jr., Coretta Scott King deserves recognition for her own civil rights accomplishments as well, as the oft-proclaimed "matriarch of the movement." Her voice, influence, and activism were a powerful force in the decades following her husband's death, and she later became a vocal advocate for LGBTQ+ equality. The similarities between Gandhi and King's activism were no accident, though. In 1959, King and her husband made a pilgrimage to New Delhi, where they actively studied the peaceful protests of Gandhi, according to the Washington Post, before bringing these lessons back home to the United States. Outer space is still a big, crazy, cosmic mystery, full of scary stuff. But it's a bit more familiar than it used to be, and part of the credit for that goes to old astronomers like Tycho Brahe, who somehow managed to figure out how galaxies spun without ever jumping into a spaceship. We might be stretching the definition of "celebrity" slightly, but Brahe was a 16th-century Danish mathematician, and his astronomy work helped convince all the egotistical Earthlings out there that the Sun, not the Earth, was the center of the solar system. Brahe died on October 24, 1601, according to Forbes, centuries before humankind touched the stars. The cause of his demise is an old mystery, but recent studies have shown that it was probably some combination of diabetes, obesity, and alcoholism. 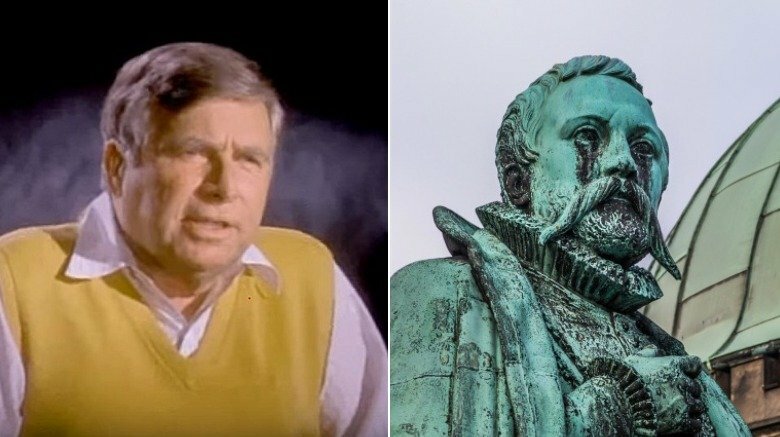 Another man who dreamed of the cosmos was Gene Rodenberry, the famed creator of Star Trek, whose visions of a futuristic utopia have influenced popular culture, philosophy, scientific innovation (cell phones, anyone? ), and countless cosplay outfits for over 50 years. According to Britannica, Roddenberry died on October 24, 1991. He was 70 years old, and the New York Times said the cause of his demise was a blood clot. As if these weren't enough starry-eyed coincidences for one date, try this: In 1946, October 24 also marked the first time human beings saw their own planet from space, according to Vice. Crazy stuff.